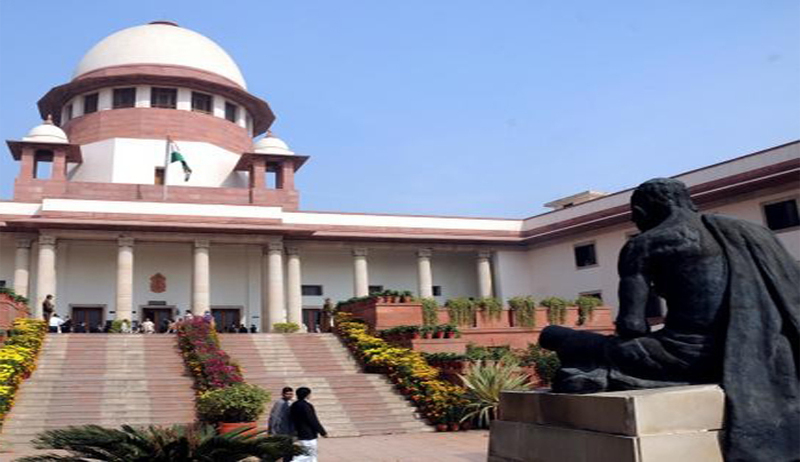 The Supreme Court on Friday sought to know the response of the Centre and the Ministry of Law on the question of establishment of a National Court of Appeal with regional benches in major cities to finally decide cases arising from high courts. The Apex Court was considering a Public Interest Litigation filed by a Puducherry-based Advocate, Sri. V Vasantha Kumar seeking a direction to the Centre and Departments concerned to consider his representation dated November 21, 2013 for consideration and implementation of the suggestions made by the Apex court in a 1986 Judgment to establish a National Court of Appeal with regional benches in major cities. The Petitioner submitted that distance of the Apex Court located in the national capital from other parts of the country coupled with high travel expense and cost of litigation were coming in way of citizens from far flung areas to approach the Apex Court which is otherwise also burdened with large scale pendency of cases. The Petitioner further submitted that the geographical proximity and financial status of citizens in the society are vital factors for every citizen to have access to top court of the land and referred to media reports that of all the cases filed in the Supreme Court, the highest number are from the High Courts in the northern states -- 12 per cent from Delhi, 8.9 per cent from Punjab and Haryana, 7 per cent from Uttarakhand, 4.3 per cent from Himachal Pradesh, etc. The lowest figures are from the High Courts located in the South of India- Kerala -2.5 per cent, Andhra Pradesh 2.8 per cent, and 1.1 per cent from Madras High Court. He said that despite the recommendation of the Law Commission of India in its 229th report that four cassation benches be set up- one each in the north, south, east and west, to deal with all appellate work arising out of orders/judgments of the High Courts of the particular region, the request for a Bench of the Supreme Court in South India has not materialized till now. The Bench comprising of Chief Justice P Sathasivam and Justice Ranjan Gogoi observed that an issue of positive nature has been raised in this petition. The Apex Court issued notice to the respondents (Centre, Legislative Department and Justice Department) seeking their response to the prayer of the petitioner for an early consideration of his representation dated November 21, 2013. In this context, readers might recollect that one of the most eminent lawyers of the Country, Sri. K.K. Venugopal, had in the first R.K. Jain Memorial Lecture delivered by him on 30th January, 2010 opined that the Apex Court has strayed from its original character as a Constitutional Court and the Apex Court of the country by gradually converting itself into a mere Court of Appeal, ‘which has sought to correct every error which it finds in the judgments of the 21 High Courts of the country’ and mooted the idea of creation of intermediate courts to be created by an amendment to the Constitution for absorbing the vast volume of cases which the Supreme Court of India had been dealing with up till now. In this background, Sri. K.K. Venugopal had suggested that instead of adding more judges to the Supreme Court of India, four Regional or Zonal Courts of Appeal should be established which would absorb the 140 categories of cases which are today pending in the Supreme Court of India being matrimonial, rent control, labour, service, land acquisition and other such like cases. [for full text, see] In an op-ed in ‘The Hindu, on 29th April, 2010, Sri. K.K. Venugopal, had re-iterating his earlier views on the issue, emphasized that the creation of four regional Courts of Appeal as final appellate courts, while restricting the Supreme Court of India to its true function as a Constitutional Court, has become imperative. The Bench's decision to entertain the PIL assumes significance since the Supreme Court in the past had repeatedly dismissed public interest litigations of similar nature.